Pioneers in the industry, we offer quick valve, service valve, valve quick for commercial ac, fcu header, copper tee and stainer and reducers from India. Quick Valve solutions offered by us are the best quality valves made available in the market for use in Commercial Air Conditioners. 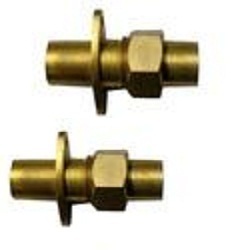 These are precision designed and developed using best forging quality brass as per standard BS-218, thus matching up with the specific end application demands of the clients. Further, the production & forging of these quick valves is done using technically advanced CNC machines that make these highly functional in finish. Service Valve solutions offered by us find usage in Domestic Room ACs and are designed and developed using best forging quality Brass of standard BS-218, thus successfully marching up with end usage requirements. 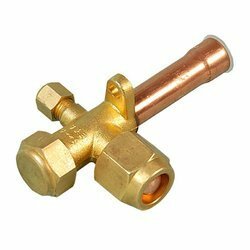 These valves are also manufactured using forging and machining done on CNC machines with brazing providing using silver brazing rod as per given specifications of customers. For assuring superior performance in high pressure working, these are also tested on 600 PSI pressure with specified couplers. Leveraging on the skills of our talented team members, we are master in providing best quality of Valve Quick for Commercial AC. 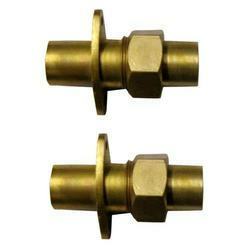 This Valve Quick for Commercial AC is extensively used for manufacturing of domestic and commercial AC units. It is highly durable in nature and easy to use. 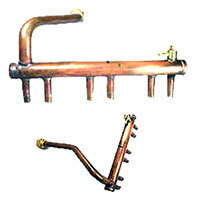 Highly durable FCU Header is offered by us to customers at market leading rate. 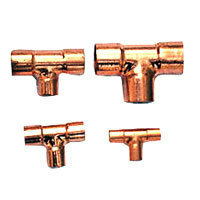 The offered FCU Header is extensively used in copper headers for joints. 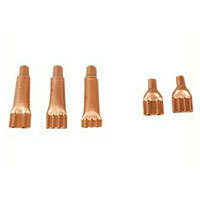 Further, the products are manufactured under the supervision of quality experts using high grade material. Matching to the huge market demands, we are involved in offering a wide array of Stainer and Reducers. The offered Stainer and Reducers are extensively used for higher pressure or where water hammer occurs and in many other suitable applications. Our products are of international quality and easy to use. Looking for Forged Components ?